Peoria Pines Golf & Restaurant is an exciting power executive golf course that challenges you to use every club in your bag. Our 18-hole golf course features more than a few basic par 3s and par 4s; we proudly feature 527- and 510-yard par 5s, five challenging par 4s and eleven exciting par 3s. Our picturesque golf course allows you to focus on your golf game as you leave the distractions of life behind. You will be able to test your skills with our long fairways, numerous water hazards and strategically-placed sand traps. 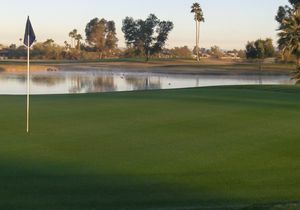 Peoria Pines Golf & Restaurant offers an assortment of quality facilities. We feature a quality Golf Shop, so if you are looking for any new gear, be sure to talk to our golf professionals. For the golfers who want to spend extra time working on their technique, we are equipped with a driving range to sharpen your skills. You can also take lessons from our golf professionals. We even have a delicious food in our restaurant for golfers who want to grab a bite before or after an exciting round of golf. Basically, we pride ourselves on ensuring you have a fantastic experience while at Peoria Pines Golf & Restaurant. For your added convenience, you can now book your tee time online! We are very happy to announce that our front 9 cart path was completely replaced this past summer and we also enlarged some of our greens to improve your golfing experience here at Peoria Pines. We hope you like all the changes and would ask that you please tell your friends and/or review us on Golf Advisor! If you like to book online, check out the tee time listings on our website for some last minute hot deals! 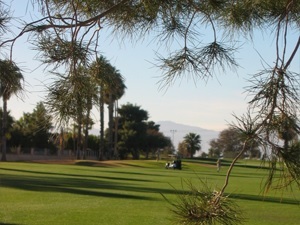 Book your tee time now online or call (623) 972-1364. Send a Peoria Pines digital gift card instantly to all of your family and friends. Our digital gift card is easy to purchase, has instant delivery and is easy to use. Receive, open and use our gift card on your iPhone, Android or any other internet enabled mobile device.